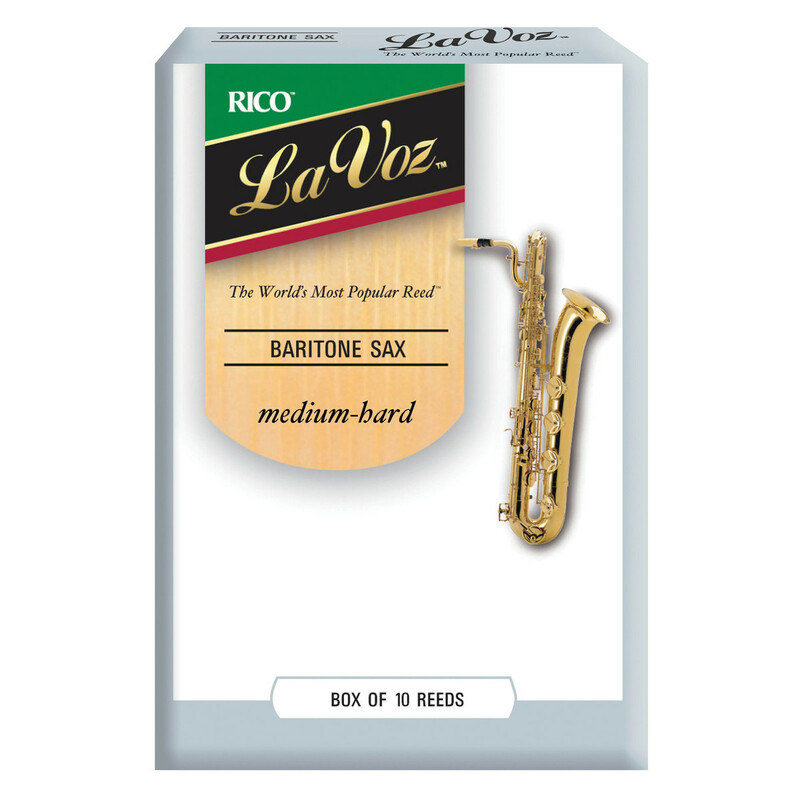 The Rico La Voz Baritone Saxophone Reeds are similar to the Rico cut, La Voz reeds are unfiled, feature a thinner profile and blank. This range offers greater flexibility with deep, powerful tones that makes them a standard among jazz musicians. The best precision cuts from the finest Arundo Donax cane give a consistent response and playability, these reeds come in the strength medium-soft, in boxes of 10. The La Voz series of saxophone reeds are ideal for jazz musicians who are looking to develop their own style. The reeds have a generally transparent tone, which allows your individual style to dominate the sound. Th La Voz reeds' low resonance is ideal for jazz players who require a powerful sound. The cane used for each reed is especially treated to be as consistent and durable as possible. The reliability and sturdiness of each La Voz reed makes them suitable for gigging musicians. Each reed is individually wrapped to retain its freshness, whether it be on tour or at home.